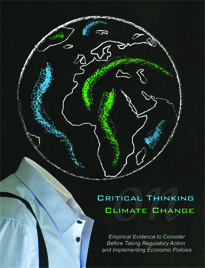 Natural Disasters Moving US Towards a Carbon Tax? Are Private Utilities Being Targeted for Government Takeover? Fool Me Once, Fool Me Twice: What’s Wrong With The USMCA? Petition – United States: Leave, Get Out of the U.N. This page is documents Community Choice Aggregation in Riverside County. It includes an overview, and documentation, including videos, of two meetings held at the Western Regional Council of Governments (WRCOG). What is Community Choice Aggregation (CCA)? In general, CCA is a policy where local governments get into the power business, through the creation of an unelected body called a joint powers authority (JPA). This new entity will aggregate (add up) electricity demand in order to procure alternative renewable energy (wind and solar) supplies while maintaining the existing electricity provider for transmission and distribution services. It promotes expensive renewable energy over traditional forms of energy. In short, it adds an agency middle man to siphon off money. Problem: Electric rates are increasing too fast. Currently power utility companies are heavily regulated by government agencies like the Public Utilities Commission (PUC). Because of policy mandates, power companies have had to move away from reliable traditional energy: hydro, gas and nuclear, to expensive intermittent “renewable” energy, like wind and solar. Because this cost more, they have been forced into raising rates. The government solution: offer a competitor to the power company. The government claims that they can save you up to 5% on your electric bill if you trust them to administer and promote your power needs. This will be accomplished through a new centrally planned government agency called a joint powers authority (JPA). Promoters of these new unelected bodies claim that they can “aggregate” or add up power from different sources at a better rate than your power company can because they will emphasize purchasing from renewable producers over traditional producers of power. 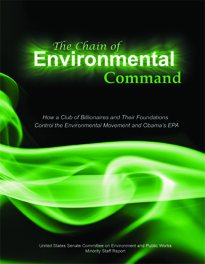 Councils of Government (COGs) promote the “green economy”, which means less choice and more costs for consumers. JPAs that administer CCAs follow the same mandate. Ironically, these are the same mandates that caused price increases from your current power provider. So how can the proposed CCA be a solution to the problem? 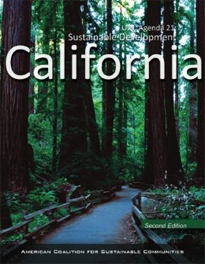 For decades centralized planners have concentrated their efforts on transportation planning emphasizing roads; however, that changed when global warming legislation passed in Sacramento. Solutions are caustic and are causing push back from citizens because they provide more power for unelected agencies, boards, bodies and commissions. This is known as regionalism and subverts the Republican for of government established by the Constitution. At their very core, many solutions impede property rights. Metropolitan Planning Organizations (MPOs), like the Southern California Association of Governments (SCAG) have been tasked with COGs in the region to coordinate a half-trillion dollar Regional Transportation Plan (RTP) and Sustainable Communities Strategy (SCS); RTP/SCS. 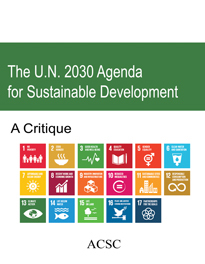 The plan centers around the progressive agenda of Sustainable Development (SD) or Sustainability as it often referred; hence, it embraces centralized planning being used by cities, counties and unelected GOGs and stakeholder groups across the State. The plan promotes alternative transportation: trains, buss, bikes and walking over vehicles. Agencies claim that vehicles emit too much CO2. Therefore, they must be removed. Dense housing is also part of equation. The rational is that people can “live, work and play” in their “community” and therefore they won’t “need” a car. The SD green economy stresses renewable energy for the same reasons and this is where CCA comes into play. SD programs are subsidized and have been financed primarily by grants from the government. Many weave their way into MTOs and COGs, who in turn propose planning solutions for counties and cities. Typically, there is enough money to hire a consultant to develop a program; however, there is rarely money for full implementation, operations and maintenance. However, this can be accomplished by transferring costs to people by raising sales taxes, property taxes, and/or implementing fees; in the case of CCA, cost burdens are simply transferred to ratepayers. Government agencies have no incentive to keep costs under control, they simply adjust rates to cover their overhead. For example, during the California drought, many water agencies increased salary and benefits; then, claimed they had to raise rates because customers were conserving too much water to meet their increased costs! Imagine what could happen to rates with a CCA. 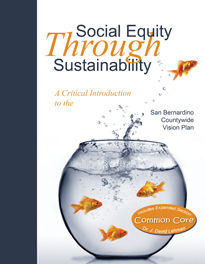 Three councils of governments (COGs): San Bernardino Council of Governments (SBCOG), Western Riverside Council of Governments (WRGOG), and Coachella Valley Association of Governments (CVAG), commissioned a consultant, ESS Consulting, to study the merits of a Community Choice Aggregation (CCA) program; therefore, all three COGs and their staff rely on the same report. The first to present this was SBCOG on April 5, 2017 where staff recommendations to move forward failed when a citizens mounted an opposition campaign. The conclusion: SBCOG staff is prevented from coordination with the other two GOGs in studying the implementation of a CCA. Next, WRCOG moved forward. The staff recommendation passed and staff will move forward with refining a JPA agreement and evaluate request for proposals (RFPs) for the operations side of a CCA. 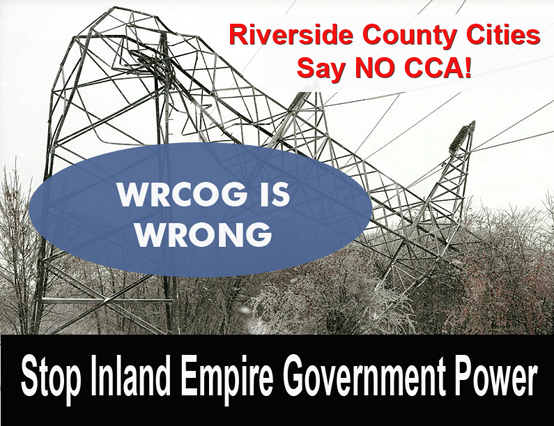 WROG will solicit invitations to all cities in Riverside to see it they want to join a newly proposed CCA. Your elected representatives need read the ICP CCA business plan (see link in documentation below) and understand the potential implications and liabilities for all parties involved, including but not limited to CCA member cities, elected council representatives, WRCOG staff, residents, and ratepayers of Riverside County. WRGOG staff or a consultant will be coming to the city councils in Riverside County to present the CCA. They will ask for a vote on committing the city to participation in/out of the CCA. This will be citizens opportunity to be heard at the local level and oppose the program. 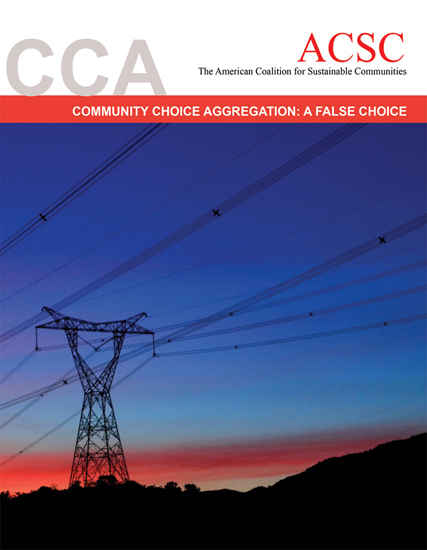 The American Coalition for Sustainable Communities (ACSC) did a review of the Inland Choice Power: Community Choice Aggregation Business Plan: Final Draft, Dated December 8, 2016 (See document link below). This review was initially done for the Foothill Tax Payers Association (FTPA). The review was appended to the letter sent to WRCOG from TCAC (See documentation link below). 1. Why did WRCOG staff recommend a flawed Business Plan report by moving ahead based on the same flawed consultant report that was defeated at SBCOG on April 5, 2017? 3. Inland Choice Power (ICP CCA) assumes $1.25 billion in exit fee charges levied by Southern California Edison, through 2036. Even one-tenth of this sum is a huge debt burden for any upstart. This fee will be passed on to customers. Exit fees are charged to CCAs by electricity companies like SCE and PG&E to “make them whole” after the CCA opts people into the CCA without their permission; people are forced to join and then, they can opt out within a specified time period. CCA proponets call stealing customers away from your existing electric company “choice”. 4. Inland Choice Power makes no warranty that it will pay exit fee costs after forcing consumers into its program without their permission. For example, Marin Clean Energy did initially commit to pay consumer costs in 2010 before reneging on its pledge, just 9-months after business launch. If the CCA does not pay directly for exit fees, these fees will be passed along to CCA “customers” in the form of power rate increases. For example, Marin Clean Energy’s Opt Out numbers were 30%. This is all the more troubling when considering that the plan assumes conservative “Domestic” ratepayer class numbers that represent 50% of Inland Choice Power’s total revenue. Existing CCAs have not been transparent in communicating to ratepayers regarding their opt out options. They typically include a notice in a bill, which one one reads. Promoters of CCAs need to realize that there will be push back going forward. There will be campaigns exposing the folly of CCAs and campaigns to inform people so they can opt back in to their power utility. 7. The Business Plan author claims benefits, but does not support claims: “ICP CCA will result in millions of dollars of benefit to the economy”, but does not include any footnotes or empiric data to support his claim. 8. The Business Plan author fails to note that SCE is a key employer in the IE and employs many residents and taxpayers whose economic activity also results in economic benefit to the community. 9. In San Francisco, a CCA was suspended after expensing $4.1 million dollars and rates increased 5 times. Councilperson Carolyn Petty said at a council meeting last Summer, that Lancaster entered into long-term energy contracts that are impossible to get out of and was projecting $6.4 million in losses in June 2017. This, after closing out June 2016 with a $3.6 million dollar loss. Page 74 of the business plan cites, Marin Clean Energy, Lancaster Choice Energy and Clean Power San Francisco as operational. Our question is: for how long and at what cost? 10. MCE is held put by consultants as a shining example in CCA business plan proposals; however, MCE does make any discernable savings according to a February 2017 report. People don’t want a CCA that will promise a few percentage points savings on their electric bill. They don’t want their elected city representatives wasting taxpayer money and time evaluating a CCA. They don’t want to bail out a CCA when it gets into trouble. Here is the WRCOG board meeting agenda for May 1, 2017. Here is the PowerPoint presentation provided by staff at the May 1, meeting, which can seen in the videos below. Here is the ICP CCA joint 118 page business plan proposal for the CCA power company done by ESS Consuslting. This was done for three councils of governments: San Bernardino Council of Governments (SBCOG), Western Riverside Council of Governments (WRGOG), and Coachella Valley Association of Governments (CVAG). Therefore, all three COGs and their staff rely on the same report. Here is a letter to WRCOG from the Temecula Citizens Action Committee (TCAC), which includes the critique of the business plan proposal done for The Foothill Tax Payers Association by American Coalition for Sustainable Communities (ACSC). 1. Approve the CCA Joint Powers Agreement and Bylaws. 2. Approve the draft agreement between WRCOG and the CCA for staffing services. 3. Direct and authorize the Executive Director to negotiate and enter into an agreement with The Energy Authority and EES Consulting to provide CCA Operational Services. Letter to WRCOG from Inland Empire Citizen Action Committee (IECAC). Includes a “Warning Letter” for those considering CCA from the American Coalition for Sustainable Communities (ACSC) about exit fees that are currently in flux at the PUC. 1. At ~ 7:50 elapsed time: WRCOG claims it encourages municipalities desiring to depart the CCA JPA to merely let Power Purchase Agreements (PPA) expire. This is untenable and unachievable by a municipality because the PPA contracts are multiple in number, length (years), and energy volumes. How does a municipality integrate the expiration of these overlapping PPAs with its daily existence and energy consumption over the years? Who manages the daily energy requirements, and how that management service is paid? To achieve daily management requires what’s known as a “Scheduling Coordinator” — complex, costly, and unwieldy for a typical city or town. WRCOG’s (simple) suggestion is over-simplified and unachievable. 2. At ~ 7:55 elapsed time: WRCOG recommends that departing municipalities notify the CCA JPA of intent to depart, then inserts “… on behalf of constituents.” This is an ALARMING problem because it confirms that the JPA considers the entire electric load within the municipality’s border (city load and residential load) to be a financial liability for the departing municipality — this can increase the departing municipality’s financial liability (for any JPA since they all use the same/similar boiler plates) by as much as 50x, depending upon residential electric load compared to “city” load). Tens of millions of dollars. 3. At 11:40 elapsed time: municipal withdrawal from CCA and shielded from liability… the speaker is vague and imprecise when identifying the language that a departing municipality should express to the CCA JPA. The speaker says the departing municipality should merely claim “… and that the CCA does not voluntarily assume the liabilities.” Huh? The speaker conflates JPA insulation from creditors with municipal withdrawal from the JPA. She is referring to the “financial firewall,” which insulates all municipal members’ general funds if the JPA goes bust. But the firewall does NOT protect departing municipality’s general funds from the JPA itself if the municipality attempts to depart from the CCA JPA. The speaker conflates and misleads. 4. At ~ 22:30 elapsed time: potential Conflict of Interest noted with EES Consulting, the firm that authored the WRCOG CCA Business Plan (for LA CCE, too) and seeks a post-luanch contract with WRCOG CCA.